The first edition of PlugBoat took place this past week in Nice, and it was pretty successful. 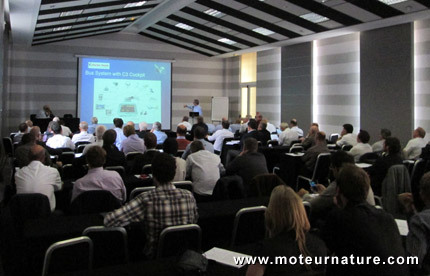 This was a conference which aimed to bring together all professionals from the little world of the electric boat, and there was nearly one hundred participants. These people had the opportunity to discover the latest technological advances, as well as getting market insights, and future prospects. We learned that the largest European market for electric boats right now is Germany, with also several great initiatives in the U.K. and France. As always, the French coastal city of La Rochelle remains a pioneer, just like it has for electric cars. Unfortunately, when it comes to have a precise size of the market, we lack data. Most electric boats are very small units, without any registration of any kind, but according to Bernard Guellard, from the French electric boat association, there are more than 4,000 electric boats in France. The market is growing slowly, in the Netherlands and Spain too, and PlugBoat assuredly helped making it grow faster.